The candidate names floating around currently are likely to be the same ones we will see at the end of the road and new candidates may end up no longer surfacing, public relations specialist Arijus Katauskas tells LRT.lt. Both he and political experts Vincentas Vobolevičius and Raimundas Celencevičius admit that Kaunas Mayor Visvaldas Matijošaitis' support, if he does not participate himself, could have a significant impact on the election results. "Thank you all for your mentions, for your confidence. Just that first of all I am currently the Kaunas mayor. Until I finish my term, I will definitely not consider new challenges. I love Lithuania, but I also love Kaunas," the city mayor told LRT Radio. It is important to note that the nearest municipal council elections are to be held in February 2019, while the presidential elections – May 2019. As such, V. Matijošaitis could run in both the municipal and presidential elections. Nonetheless according to LRT.lt sources, rumours abound in the corridors of the Kaunas city municipality that V. Matijošaitis is definitely not preparing to run for president, but may find it beneficial to be touted as a potential candidate, this way the politician can maintain high ratings and influence. 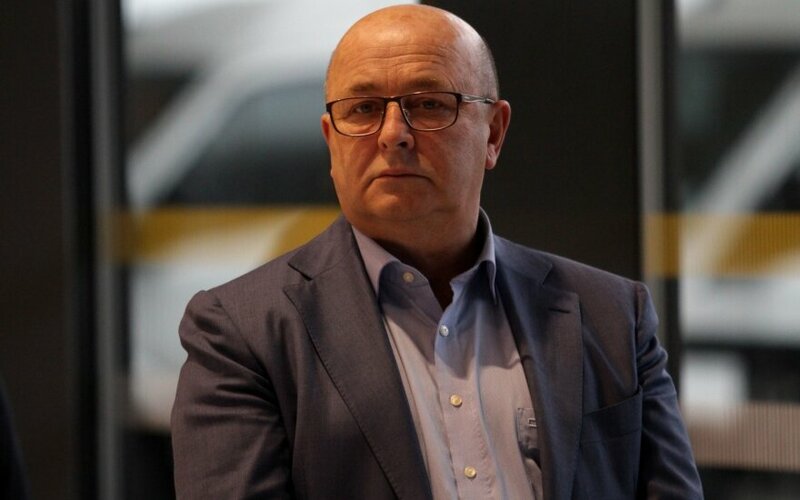 During an interview with LRT Radio, the Kaunas mayor assured that in the presidential race he would support Prime Minister Saulius Skvernelis, if he ran for the office. When asked about their relations, V. Matijošaitis did not hide that they are linked by more than just political work: "We have both finished the same higher education: I finished the Vilnius Engineering and Construction Institute, the Prime Minister – VGTU. We were both policemen." Furthermore, both care for Kaunas Žalgiris BC, both watch the club's games in Kaunas. V. Matijošaitis and S. Skvernelis' friendship is fairly old, the two politicians interacted already back when S. Skvernelis headed the Ministry of the Interior. It is worth mentioning that at the end of last year the cabinet suddenly chose to not include the Kaunas S. Darius and S. Girėnas Stadium into the government investment programme. This caused great uproar in Kaunas and the public sphere because the stadium's renovations are one of V. Matijošaitis' the key tasks in the city. However just a few days V. Matijošaitis and S. Skvernelis had a chat in Kaunas where they watched a Euroleague match and the PM assured that funding for the stadium would be found. Furthermore, last November V. Matijošaitis held an informal meeting in his city with the Lithuanian Farmer and Greens Union (LVŽS) chair Ramūnas Karbauskis. According to sources, the meeting also featured talks regarding the presidential elections. As such it would appear that S. Skvernelis has a real possibility to secure the support of the Kaunas mayor, one of the most popular politicians in the country. How much influence would this have in the race and how would it affect the other candidates? Chief policy news editor for the 15min.lt news portal R. Celencevičius says that the Kaunas mayor is playing a game, leaving himself the door open to run in the presidential elections. 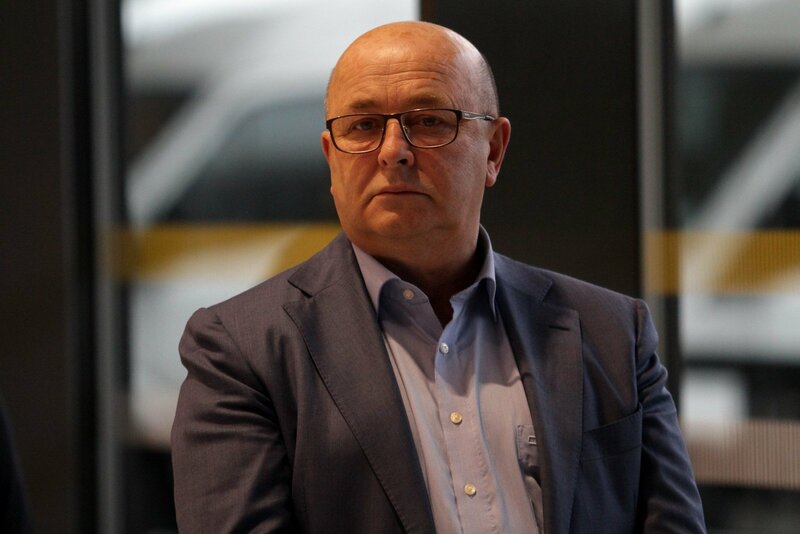 "I would nonetheless think that due to his health condition and lifestyle he is building, it is unlikely he would seek anything above leadership of Kaunas. Mr. V. Matijošaitis has already bought a small mansion near Kaunas where he would like to spend time with his grandchildren. Being a wise man, he can see what happened to R. Karbauskis when he entered politics with a big business in hand. V. Matijošaitis also has numerous companies and based on common sense he understands that if you run for national office, your opponents would perhaps also look at your business dealings equally seriously," R. Celencevičius told LRT.lt. Counting mathematically, according to the analyst if we add together V. Matijošaitis who is currently third in the ratings and S. Skvernelis who is currently second, current first place, SEB bank president's advisor Gitanas Nausėda wouldn't stand a chance. "I do not know how it would be on a countrywide scale, but at least in Kaunas S. Skvernelis should have more chances [to win]. This was displayed by the Seimas elections – when the LVŽS came to an understanding with V. Matijošaitis and aided one another, the previous Kaunas favourites, the Conservatives met with a crushing defeat," the analyst explained. The head of the ISM Management and Economics University Economics and Policy Studies programme docent dr. V. Vobolevičius also believes the Kaunas mayor's support to be important in the presidential elections. "When the gap between two candidates is not large, the votes of Kaunas city and Kaunas region would be a significant boost. V. Matijošaitis' recommendations may be heard in also Kaunas region. Though of course the question is open, to what extent people consider those recommendations, whether voters would shift from one to the other, whether S. Skvernelis would not have to take any steps to convince V. Matijošaitis' voters," the political scientist mused. Public relations specialist A. Katauskas guesses that S. Skvernelis' ratings may receive a boost already now – as fter V. Matijošaitis expressing support for the PM. "Of course V. Matijošaitis' position may yet change – depending on performance in the municipal elections. SO far this position favours S. Skvernelis," A. Katauskas summarised. So far the most prominent polling names are those of G. Nausėda, S. Skverneis, V. Matijošaitis, MEP Vilija Blinkevičiūtė, MP Naglis Puteikis, MP Ingrida Šimonytė, former EU ambassador to Russia Vygaudas Ušackas, MEP Valentinas Mazuronis, MP Žygimantas Pavilionis and several others. Public relations specialist A. Katauskas believes that these are likely the people we will see in the presidential race, even if only a few have already declared their participation, such as N. Puteikis and V. Mazuronis. "I can hardly imagine new candidates will surface. We have sufficiently strong candidates. I would perhaps watch the dynamics of communications between current potential candidates and such. G. Nausėda himself, trying to take major steps, has begun bringing up different topics to before. Earlier his communication was radically different to the current communication in terms of the spectrum of topics. I would say that N. Puteikis might muddy the waters with his ability to gather a certain audience. Even during the last elections, the few percent he gathered were important. I am somewhat sceptical about some of the diplomats being brought up – namely V. Ušackas and Ž. Pavilionis. They need radical image changes. However, everything depends on the resources brought to bear. The parties have yet to express their position. [...] Nonetheless, I think that the candidates we see now will be the ones we see down the stretch. For now other names are not appearing in public, while they should already be visible, somewhat recognisable and acknowledged," A. Katauskas told LRT.lt. The presidential elections are to be held on May 2019 in Lithuania.